Eons ago I went to a farmhouse to see a pig being slaughtered. That’s another story, that I still haven’t told. While some of the crowd was washing the intestines out in the stream to be later used to make sausages, morcilla and chorizo, I took a walk in the fog. And there, I found spider webs. Which, in the fog, become absolute masterpieces. 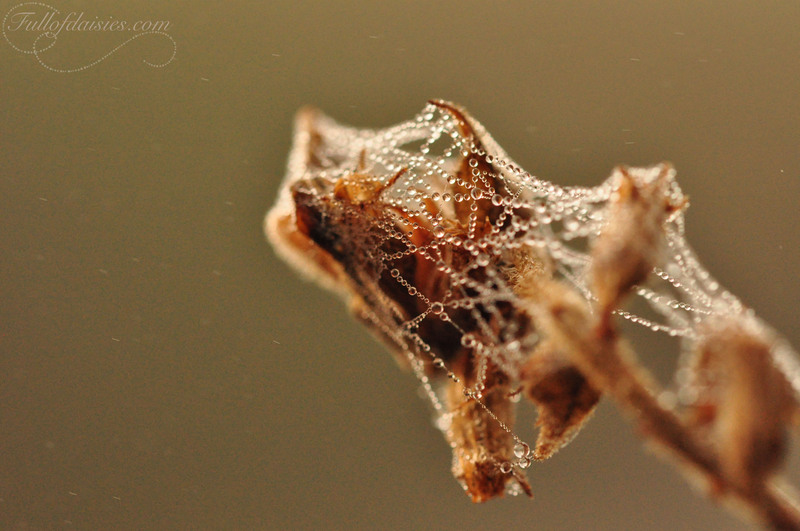 In this section of my blog you can find more photos of spider webs taken on that walk and every first of the month I’ll publish another of these photos that I personally really like. Those little droplets you see floating by are the fog I was completely surrounded by!